I tend to swatch a lot of polish that I've purchased, but I don't always get around to publishing a review for them. 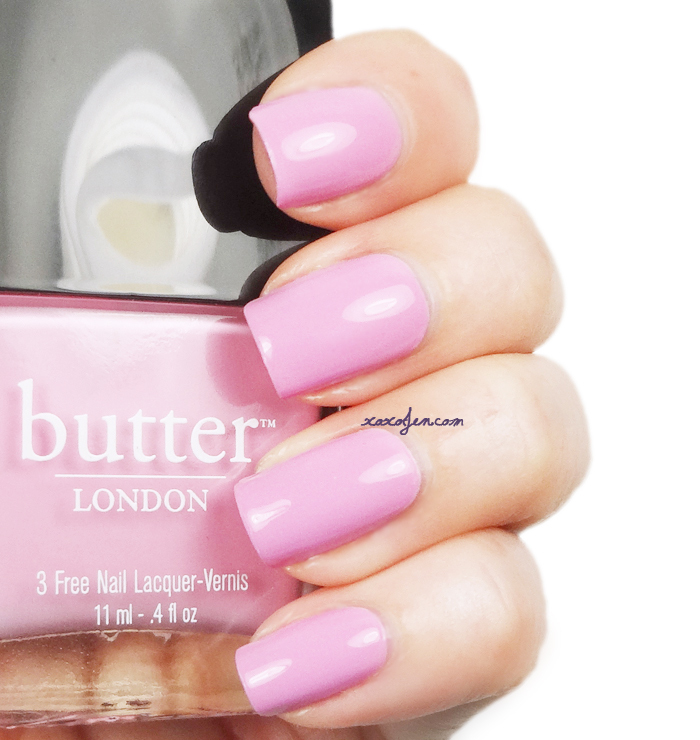 Butter London Fruit Machine is one of those! 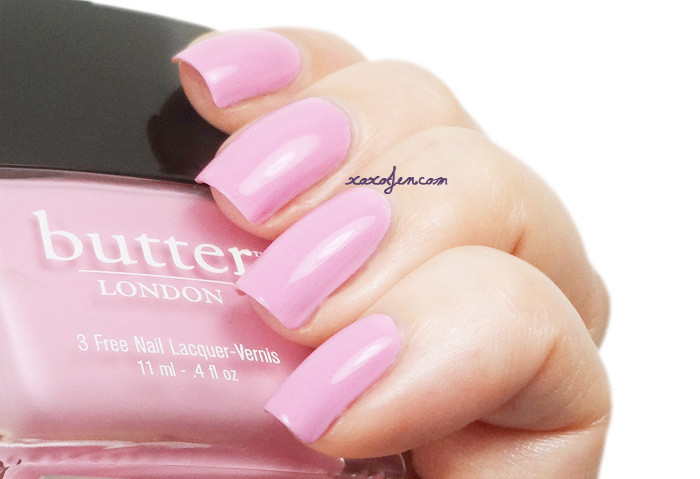 I swatched this in June 2013 and I remember using two coats with top coat in between each coat because the formula was difficult to work with. It seemed thick and dried fast during application so I had some patchy spots. I learned that by putting top coat over the first layer then doing another layer, it seemed to smooth things out for a nicer finish. This shade of pink reminds me of childhood ice creams like rainbow sherbet! Perfect for a hot summer day! I hope you have enjoyed this little blast from the past! What is your favorite polish shade to wear for summer time? What a fresh shade of pink this is.